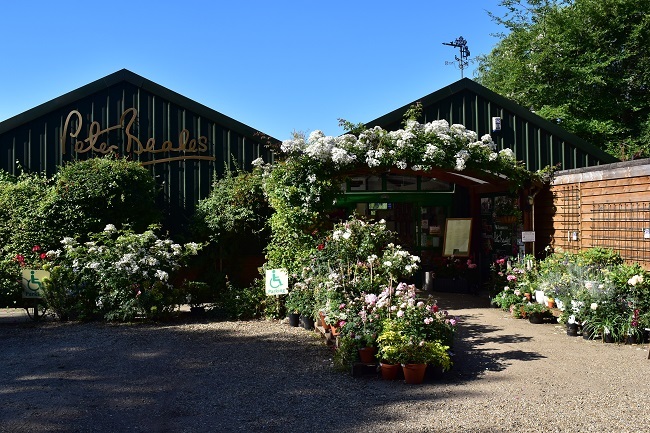 Entrance to the beautiful two acre display gardens is free of charge and being situated just half a mile off the A11 at Attleborough, Peter Beales Garden Centre is arguably one of the best destination garden centres in the area. The gardens are a must see for any visitor to the region. Designed and cared for by the team who create the RHS Chelsea Flower Show gold medal winning exhibits, visitors soon lose themselves within the inspirational gardens. Since the first roses were planted in 1983 the gardens have always been an integral part of the garden centre, with visitors coming from all over the world to view the roses; specialising in the preservation of old fashioned roses, the gardens provide a chance to see unique, historic, rare and contemporary roses growing in unison with other complementary plants. In the heart of the gardens you will find the ‘St Albans Walkway’. An impressive ironwork structure, that comprises of four arched walkways that join together at the centre of a magnificent six metre gazebo. The specifically chosen cultivars planted along the walkway are now maturing and the display grows more magnificent each year. The experience doesn’t have to stop there. Seasonal garden tours, advisory courses and hands on workshops on a range of topics are also available, with group guided tours and refreshment packages starting from as little as £5.00 per person. Coach drivers receive complimentary refreshments. This year, the newly developed plant area has tripled in size and careful selection has gone into the ranges being offered; with many coming from renowned growers and breeders – the range of clematis alone is breath-taking. This is all backed up with the plant and rose advisory service which is of the highest standard in the area. The newly extended and popular Rosarium restaurant offers a mouth-watering freshly prepared menu suited for all; whether it’s tea and scones, a light lunch or a delicious hot meal from the speciality board, the Rosarium can only enhance your visitor’s experience. For the finishing touches, the rose and garden-lovers theme is also reflected in the range of quality gifts; varying from candles and educational toys to glassware and handcrafted gifts by local artisans. 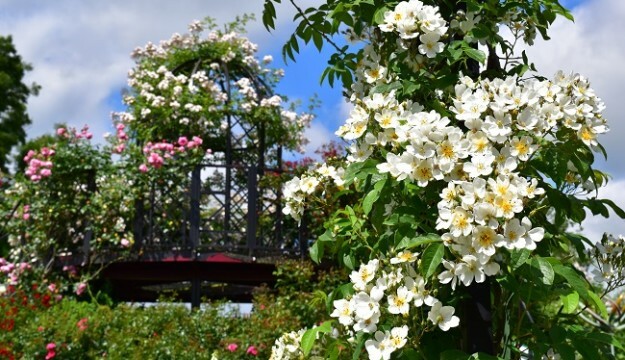 A range of exciting events are being held during 2019, including the extremely popular Rose Festival weekend and Specialist Plant and Craft Fair. So, if you’re looking for a place to visit in East Anglia or in need of a relaxing welcome break stop on-route to another destination, Peter Beales Garden Centre is the place to visit.